Google’s new tablet Nexus 7 after releasing in some parts of Europe in late July, on Monday 27, August 2012 it went on sale in France, Germany and Spain. 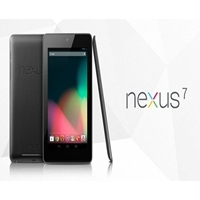 Nexus 7 is powered by Android Latest version Jelly Bean and got the quad core processing power. Nexus 7 is made by Asus 7 Inch Tablet, high quality Tablet, if you are located in France, Germany or France, was waiting for the quality tablet then it’s high time to grab Nexus 7.